Disney/Pixar’s The Incredibles has become a fan favourite since its arrival back in 2004 (it’s even in the top ten highest-rated superhero movies on Rotten Tomatoes). Brad Bird’s film was a perfect marriage of the House of Mouse’s signature laughs and heart with the awesome spectacle and superheroism that comic book movie lovers enjoy. Now, at long last, the sequel is on the horizon and from everything we’ve seen so far, it’s looking great. Set to bring us another fun-filled adventure for the Parr family, all signs point to the team being able to re-capture the magic of the first outing. Granted, it’s still early days, but The Incredibles 2 appears to be another delightfully delicious piece of Pixar pie and we can’t wait to see more footage. When we’ll get to do just that is obviously unknown, but with the marketing campaign now heating up, it shouldn’t be too much longer before the blitz truly begins. Speaking of which, today brings forth a new poster for the sequel (seen in the gallery below along with some previously released ones) that features the gang taking a little vacation. 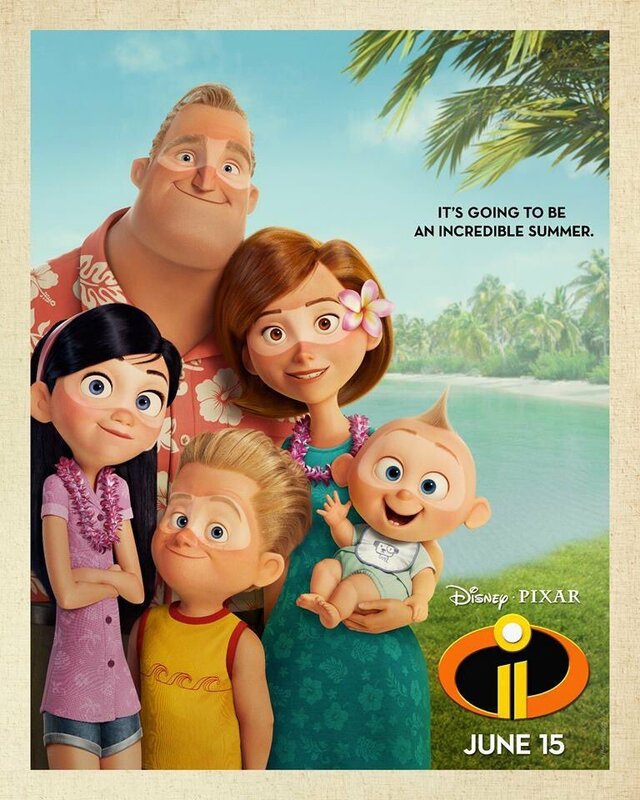 Accompanied by the cheeky tagline “It’s going to be an incredible summer,” we see the Parrs looking nice and relaxed, with some tan-lines on their faces due what appears to be them forgetting to remove their masks. 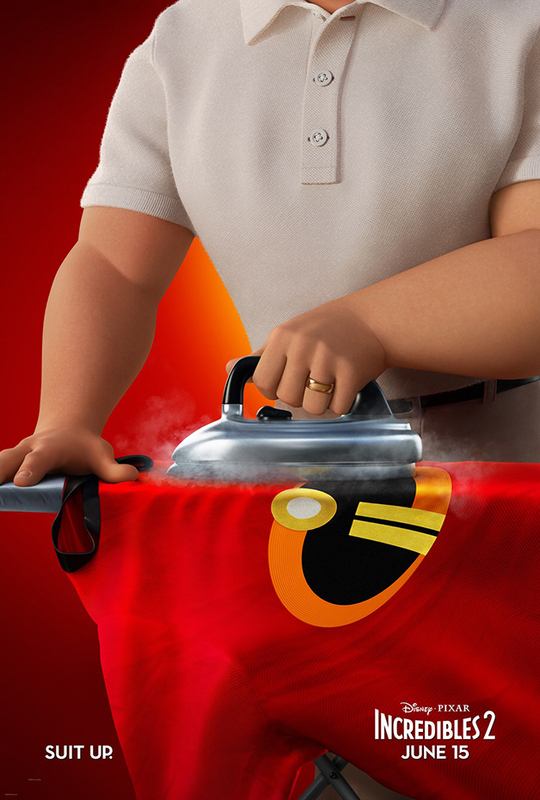 The Incredibles 2 will pick up right where the original left off. You might remember that it ended with a supervillain known as the Underminer (played by Pixar stalwart John Ratzenberger) arriving to subjugate Metroville. From what we understand, the Incredibles’ ensuing battle with the baddie will form the exciting opening set piece of the sequel. From thereon in, the pic will then shift the focus to Holly Hunter’s Helen Parr as she assumes the role of the main superhero of the family and Bob agrees to stay home and look after the kids. A synopsis released a few weeks ago teased that Helen would work with PR gurus Winston and Evelyn Deavor (Bob Odenkirk and Catherine Keener) as well, to help boost the public image of supers – but can she trust them? 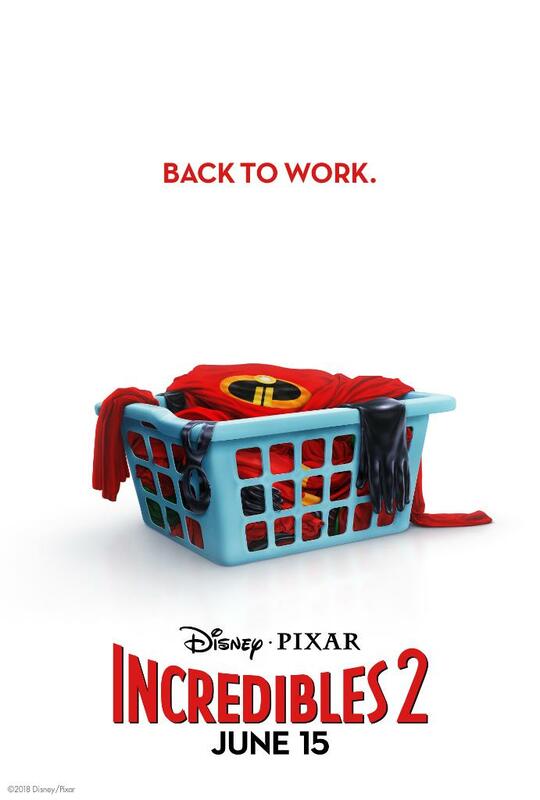 We’ll find out when The Incredibles 2 smashes into theaters on June 15th.